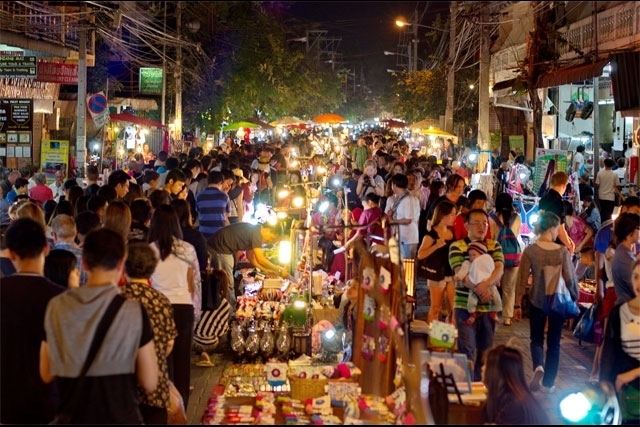 The Sunday Weekend Walking Street is easily the most popular shopping experience in Chiang Mai. A vibrant spectrum of art, crafts, music and food – with handmade quality goods and souvenirs that echo the spirit of Northern Thailand. The Sunday Walking Street serves as a venue for all kinds of local events, from dance recitals to beauty pageants and the sois (lanes) on either side of the main road feature stages and performance spaces. It starts at ThaPae Gate and runs all along Ratchadamnoen Rd, for around one kilometre. As the name suggests it takes place every Sunday from 16:00 until around midnight. The road is closed to traffic during this time, and as one of the most popular tourist attractions in the city, it does get busy. Full Day trip to visit the local studio with various local artists, starting from Mr.Srijai, one of the well-known woodcut printing technique. His studio located outside of Chiang Mai city with 45 minutes drive through a local road where you will see the green scenery. 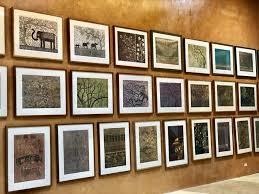 At his studio, Mr. Srijai will take you through his art pieces and detail of his creative behind his work. Lunch experience at Srijai's Art Studio cafe, where fresh ingredients come from the backyard garden grown by his wife. A fresh homemade style lunch, freshly baked bread, organic salad and refreshing homemade ice cream are the lunch experience you will encounter. In the afternoon, we will drive back to downtown Chiang Mai; Nimmanhemin area where all the modern artists have their studios located. Afternoon, we will visit CAP studio, own my Mr. Kittikong himself, the modernized printing artist will walk you through a series of his works and other artists working at the studio. The printing technique such as engraving, itching. 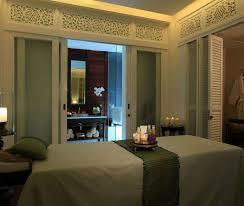 Special for guests at 137 Pillars House, top wellness guru, Roger Moore, is also available for pre-appointment bookings. Roger Moore has worked in the wellness and health industry for over 26 years. He has worked with celebrities and VIPs. A Tatler Guide to the ‘Best of the Best’ rated him as one of the “top 8 therapists in the world worth travelling around the globe for”. His treatments include: Deep Tissue Position Release Therapy, Intuitive Therapy, Reiki, Seven Chakras Massage, Chi Nei Tsung Massage and Qi Gong Therapy. Celadon is one kind of three main types of ceramics in Thailand. Its production has continued to develop from its early beginnings 700 years ago until the present. 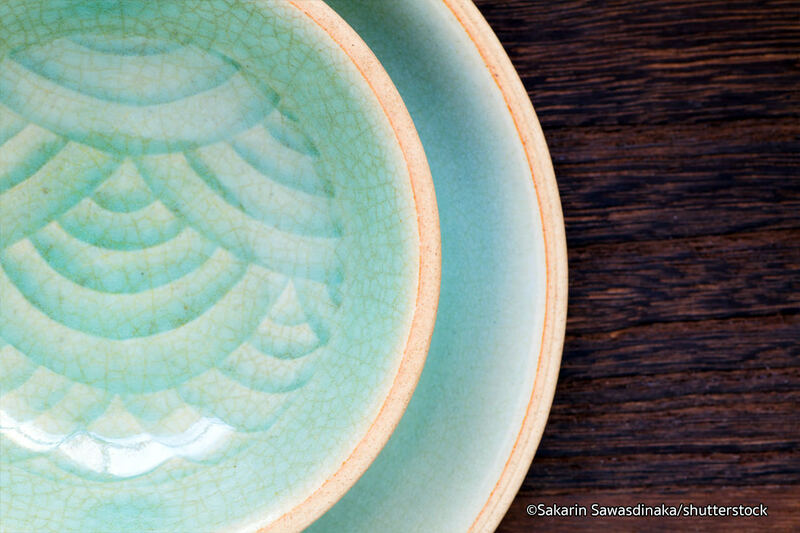 The name ‘celadon’ derived from two Sanskrit words: ‘sila’, meaning ‘stone’, and ‘dhara’, meaning ‘green’. Therefore, ‘Celadon’ means green stone. Celadon comes in many shades and styles, being found in tones of light and dark gray, honey yellow, green and green-yellow, olive green, blue-green and brown. 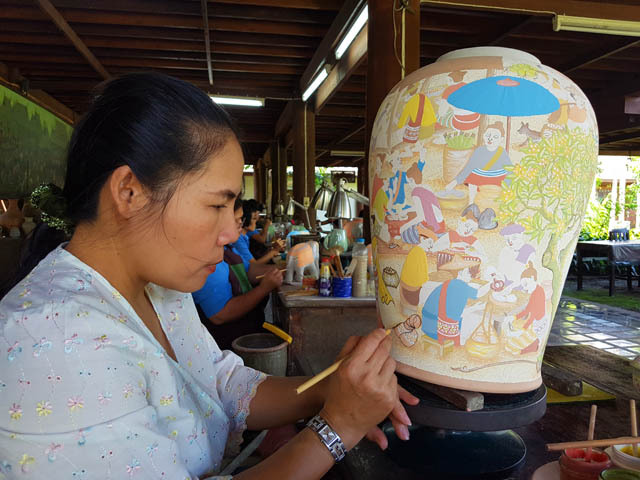 Baan Celadon is determined to carry on the traditional Thai method of Celadon production by maintaining the handmade procedures, emphasizing on the importance of painting, carving lively designs characterizing Thai arts and cultural life in order to preserve Thai traditional wisdom. 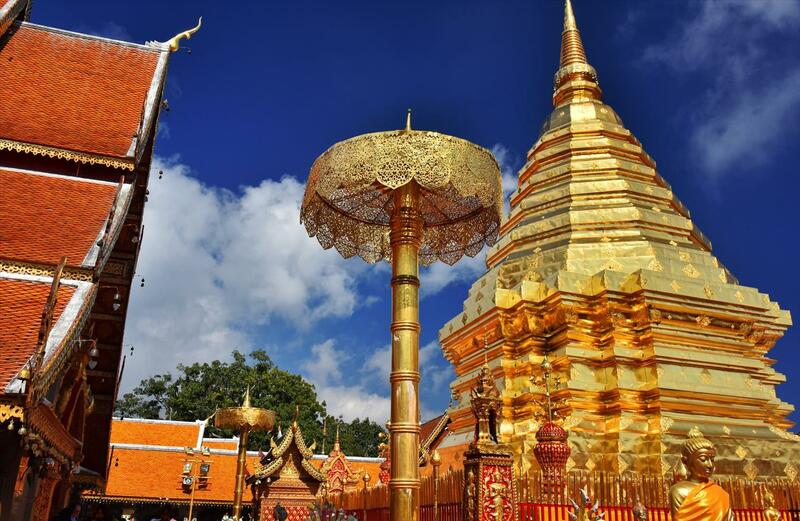 Visit Wat Pra That Doi Suthep, the most important and famous temple in Chiang Mai founded in 1383. 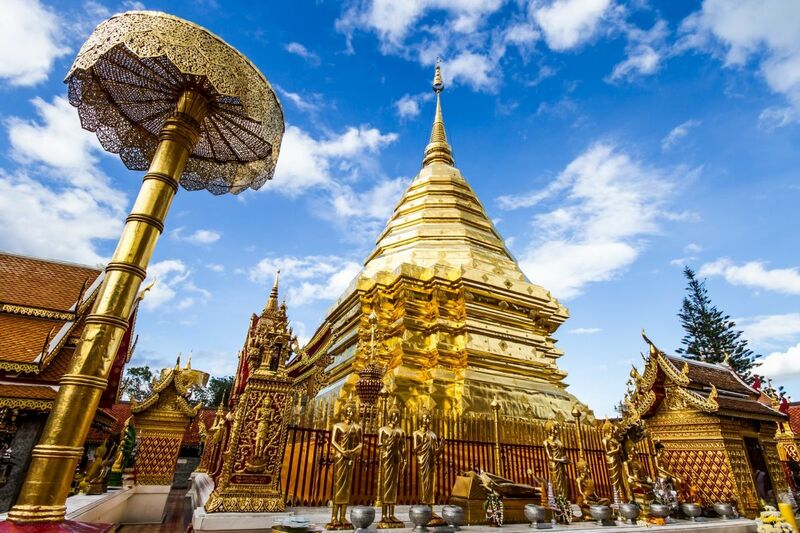 The experience begins with a pleasant scenic drive up 3,500 feet above sea level to the sacred temple of Doi Suthep (the name of the mountain). It is the most sacred temple in the city. the temple contains the holy relic of the Lord Buddha which is enshrined in the magnificent golden pagoda that can be seen for miles around. A panoramic view of the city and the surrounding countryside can be seen from the temple grounds. A truly breathtaking experience. 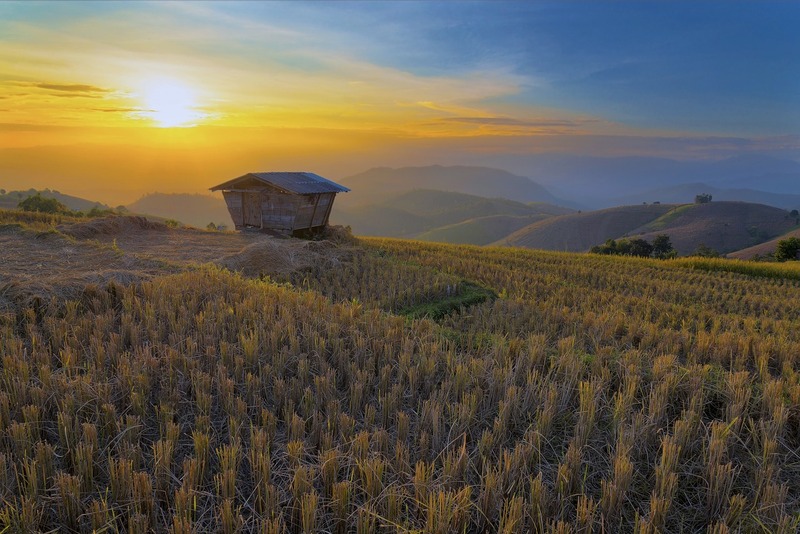 Embark on a journey of connecting with the tribal people of Chiang Mai and learn about their way of life in their villages. 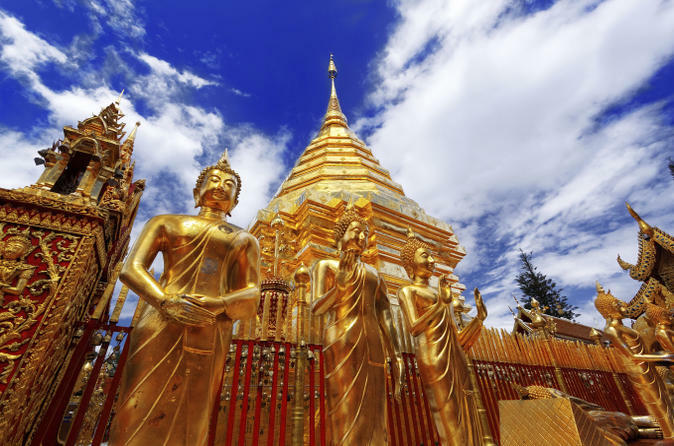 Along the way to the Golden Triangle and the Mae Sai Border Town between Thailand and Myanmar, we will visit the historic temple of Wat Chedi Luang, a temple constructed in the 14th century. Places of Interest: Temples including Wat Suan Dok, Wat Phra Sing, Wat Chedi Luang and Wat Chiang Man. Embark on a calming driving tour around Chiang Mai, the Rose of the North and learn about the unique 'Lanna' culture that gives the city it's unique identity. 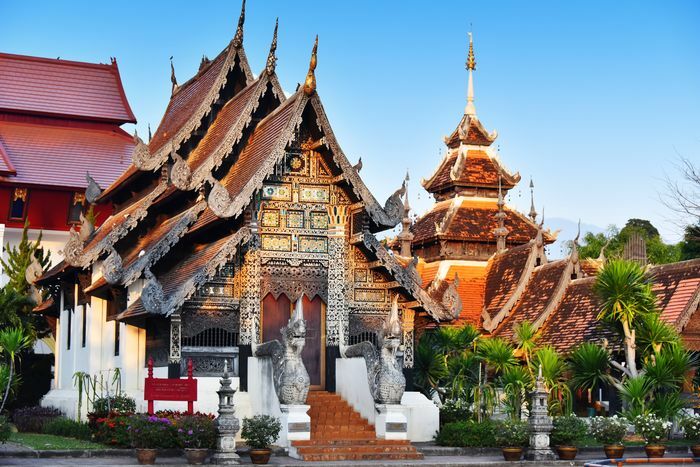 This experience includes a visit to the city's four of Chiang Mai most famous temples that showcase authentic Northern Thai architectural works of art. The temples are Wat Suan Dok, Wat Phra Sing, Wat Chedi Luang and Wat Chiang Man. 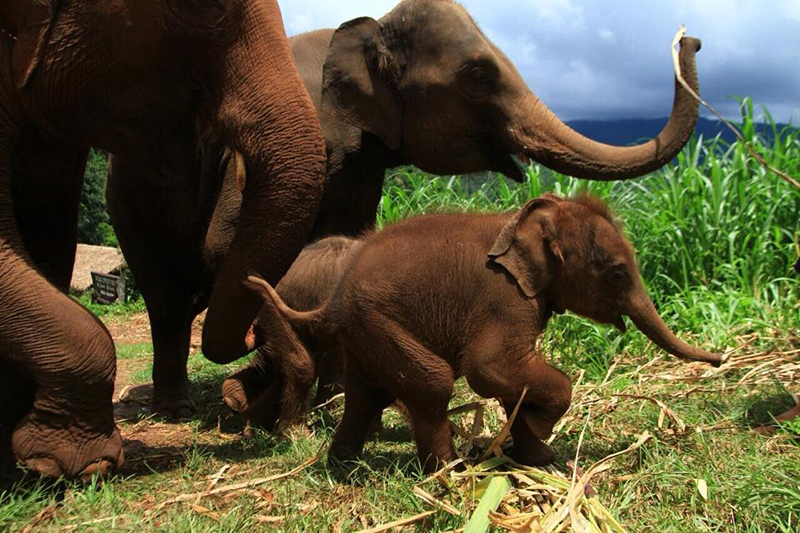 This is the only Elephant Sanctuary Events Travel Asia Group supports. We take conservation very seriously like Khun Lek, the founder of the Elephnat Nature Park Chiang Mai. She and her team focus on rescuing and rehabilitating ex-working elephants. At the park, you will learn the truth about elephants and participate in education programs that would help abused elephants as well as dogs. 4 Days 3 Nights an interesting art appreciation trip in Chiang Mai. 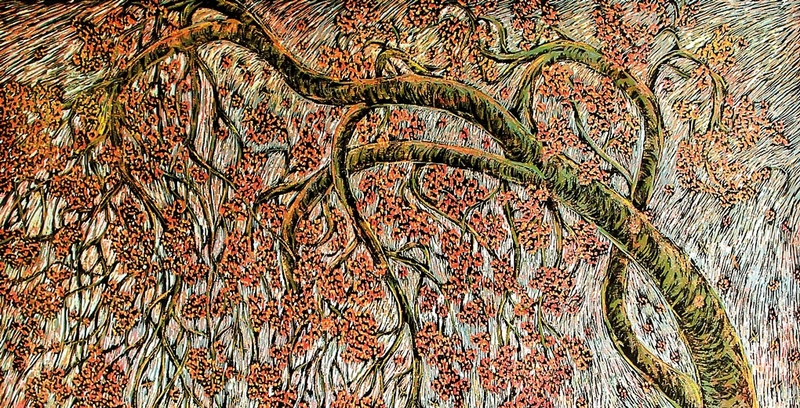 This program designed to take you further to learn the inspiration behind the artists' mind. Visit the artist studio in location. Experience their life, living in their mind of creativity. Start the day with a sunrise yoga session led by in-house yoga, Dheeraj. Relax by the pool after a leisurely breakfast. In the afternoon, indulge in a spa treatment before departure. Leave your worries behind and let the charm of the Lanna culture be the centre of your experience. Let the famouse "jaooooo" (a prolonged expression of acknowledgement) amplify your sense of belonging when in Chiang Mai. If your desire is to spend quality time with a loved one, this is a package that you must consider. Rekindle your love for each other with this tailored program. It will remind you that the sense of time is within your control. The couple that learns together, stay together. Don't hesitate, book now! 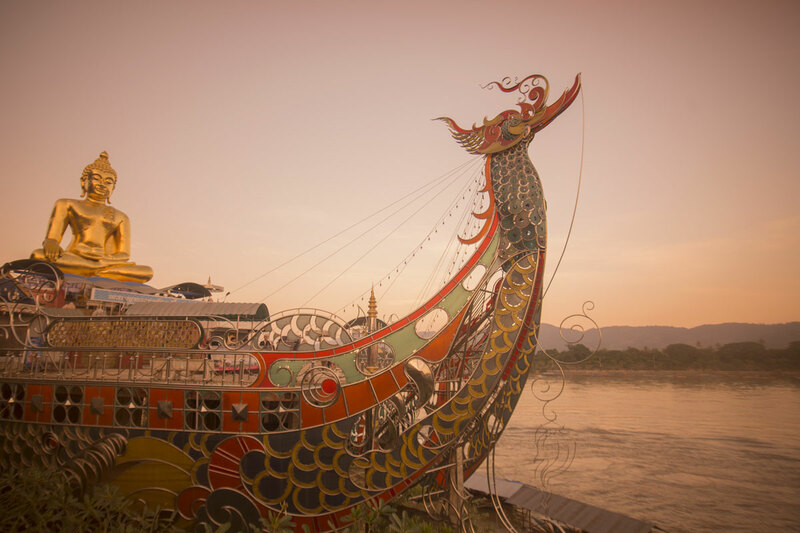 Chiang Mai's Vibrant modern-day art culture began in the 1990s when artists collectively created the revolutionary Chiang Mai Social Installation Project, a festival that challenges traditional notions of display and viewership by using open public spaces for installations, performances, and talks. This package offers you the opportunity to immerse yourself in one of the most exciting and creative movements in the world right now. Whether you are visiting from near or far, allow us to take care of your arrival experience. 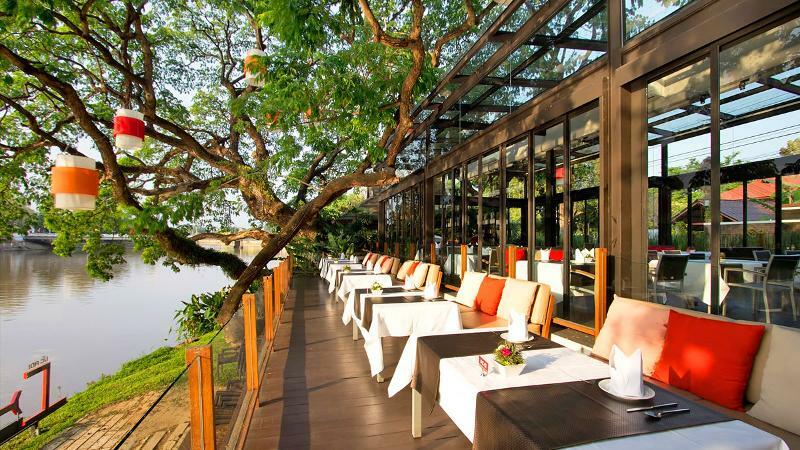 All we want is for you to relax and enjoy your visit to Chiang Mai!